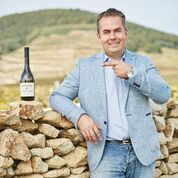 From humble beginnings of selling wines from their cellar door and to local bars, this boutique winery started to get more serious when the owners son, Gábor Jnr. came on board full time in 2008. Abandoning a law degree for the land, Gábor Jnr started modernising the winery, introducing strict yield restrictions, multiple bunch selection and selective harvesting techniques – all of which dramatically increased overall wine quality. With vineyards in Mád and the two neighbouring villages of Rátka and Bodrogkeresztúr, Kardos produce (in the words of Gábor Jnr) “Characteristic dry white Tokaji and late harvest sweet wines by optimising the exceptionally characteristics and extraordinary uniqueness of the Mád terroir”. Their philosophy is to ‘Create of as natural wines as possible from concentrated, healthy, raw materials, in a clean environment and with as little intervention as possible’. Kardos wines are distinct, extremely tasty and of the highest quality… definitely a winery to keep an eye on.